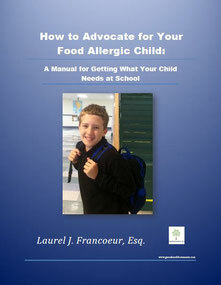 Laurel is the author of the following books providing help and advice to people dealing with food allergies. This unique manual guides readers through a step-by-step process to learn how to be an effective advocate for their food allergic child. Written by a lawyer with a son with food allergies, this book discusses the relevant laws and rights for parents. It describes how to approach school personnel and traps to avoid. Also, the book teaches the reader how to make an accommodation plan, such as an IHCP or a 504 Plan, and how to enforce the plan. This book is a companion to the Greenlaurel Documents interactive form-drafting software for creating personalized IHCP and 504 Plans. Available at Amazon. Click here. 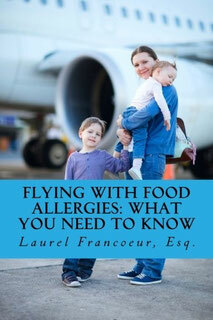 In Flying With Food Allergies, Laurel Francoeur has written a very useful book detailing all the aspects of air travel that you need to know if you have food allergies, or if you are traveling and caring for someone with food allergies. Written from the perspective of a parent of a child with food allergies who has been very active in the food allergy community, as well as from her legal expertise as a practicing attorney, Laurel provides the medical and scientific background for how in-flight food allergic reactions can be triggered, and what you can do to prevent and minimize those exposures and reactions. Her book also provides a very unique legal perspective, with examples from case law involving food allergic reactions and industry responses, information on specific laws and regulations relevant to food allergic people in the US, as well as what your rights are in the legal process. NOW AVAILABLE ! 2nd Edition with updates and more practical advice. From two of the nation's leading experts in food allergy management, this handbook provides the facts, information and resources you need to create a safe and inclusive preschool environment. 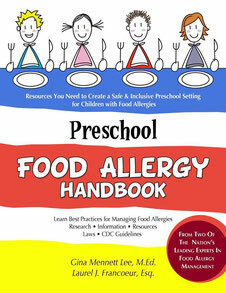 Designed for preschool providers and parents alike, this handbook provides a fact-based, common-sense approach to managing food allergies at preschool. The authors include research, laws, best practices, checklists, and resources as well as specific guidance on how to successfully create and implement a Food Allergy Management and Prevention Plan in accordance with the newly released CDC guidelines. 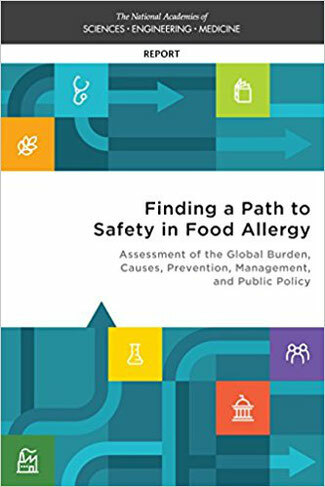 Laurel's work and testimony has been included in the book "Finding a Path to Safety in Food Allergy: Assessment of the Global Burden, Causes, Prevention, Management, and Public Policy."